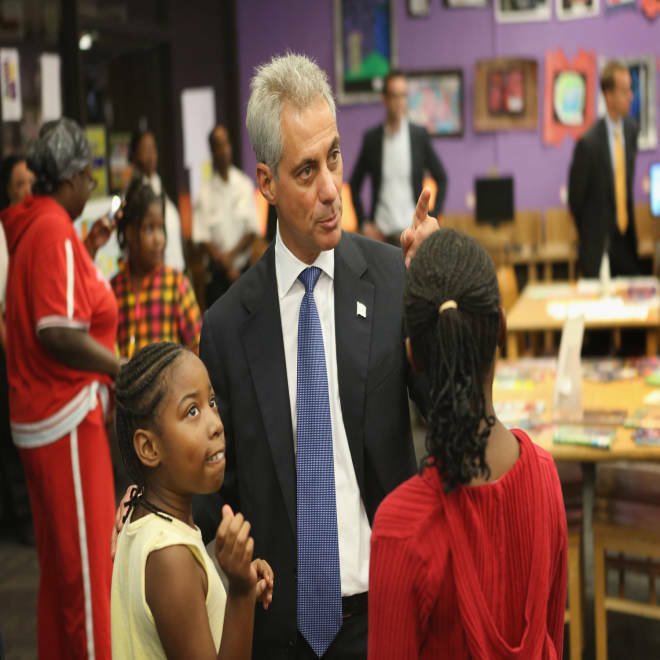 Could Rahm Emanuel deal blow to teachers unions everywhere? TODAY's Natalie Morales reports on the latest in the teachers' strike in Chicago, where the union and school district say they're making progress as talks resume on the fourth day of the walk-out. The week-long teachers’ strike in Chicago has drawn national attention because it affects 350,000 children and pits two Democratic forces -- a new generation of political leaders and teacher unions -- against each other. But it also represents a broader struggle over education reform and union power, and the results could reverberate elsewhere. If the Chicago Teachers Union wins enough concessions, then it’s a victory for the labor movement and a potential guide for similar battles underway in other parts of the country. If Mayor Rahm Emanuel emerges with enough of his demands intact, then it’s another setback for labor and validates the push to impose stricter measures of teacher accountability. All over America, states and cities are trying to figure out how to respond to federal initiatives aimed at improving public schools. The initiatives employ a series of carrots and sticks: There’s money for districts that implement the Obama administration’s ideas on teacher evaluations and testing, and there’s the threat of closure or other sanctions for underperforming schools. Mayor Rahm Emanuel could help decide the future of education reform across the U.S.
That challenge has resulted in elected officials trying to impose new standards for teachers, who resist having to give up control over their work. Chicago is just the latest of several big cities -- including New York, Los Angeles, Boston and Cleveland -- where that tension has come to a head. How do you measure teacher performance? Illinois lawmakers have set a schedule to implement new teacher evaluation methods, and Chicago must start making those changes this year. Illinois also happens to be a state that allows teachers to strike. That makes the five-day-old walkout, which has captivated the country and could impact the presidential election, an ideal opportunity for labor to show that it’s no pushover. Then again, Emanuel could end up on top. Or: each side will concede, ending the strike in a draw.